So how much do you really know about dinosaurs? There are a lot of pretty cool facts that you might have never learned. For example, dinosaurs lived on every single continent. That includes Antarctica! Brrrr. The dinosaurs used their long tails to help keep their balance when they ran. (A tail to keep your balance when you're running sounds pretty handy to us) You can tell what dinosaur ate meat because they usually walked on two legs, and the plant eaters usually walked on all fours. Easier to snag a meaty dinner when you're up on your hind legs, right? Yeah, we love dinosaurs here. Including the fact that dinosaurs eggs were the size of basketballs, and that the dinosaurs that lived by water usually left the best fossils. Now, if you asked us what dinosaurs make for the best Halloween costumes, we'd have to say this one right here. 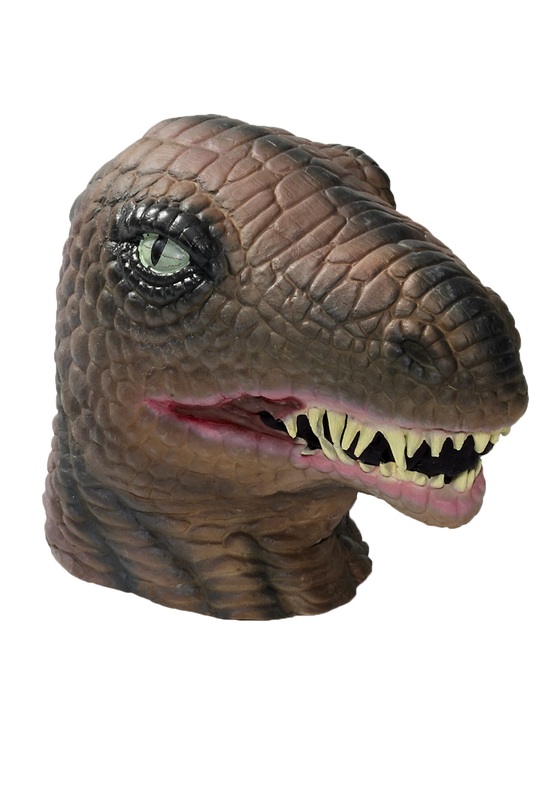 Imagine the Jurassic statement you'll make wearing this T-Rex mask with your favorite outfit? Like so many of our masks, this one is high quality latex and very detailed. The mouth has a hole in it so you can see where you're going. Because, you don't want to end up in a tar pit this Halloween like the real dinosaurs, do you? You can have all sorts of fun accessorizing with this mask. Just don't take your dinosaur role-playing too far and start chowing down on rocks. Did you know dinosaurs ate rocks to help them digest their food? So cool!